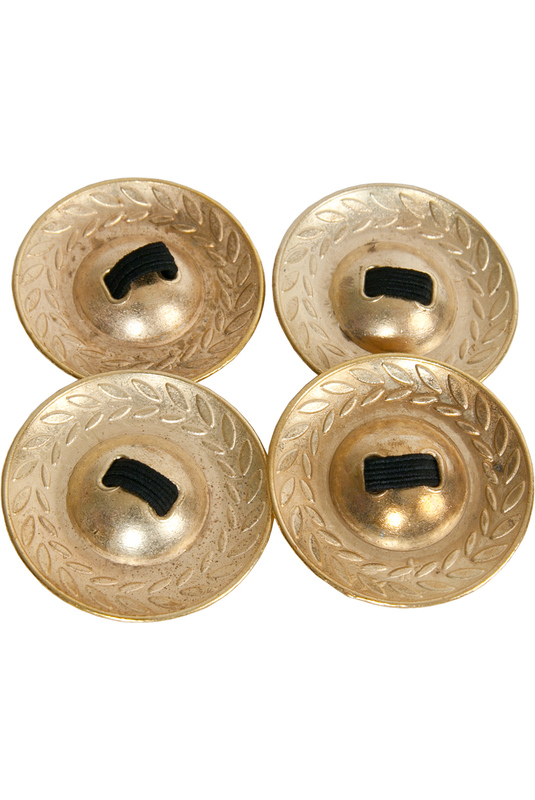 Mid-East 1.9 Inch Belly Dance Finger Cymbals Decorated Brass. Mid-East Brass Decorated Finger Cymbals 1.9". Turkish brass finger cymbals with Laurel Wreath decoration. Great for beginners.